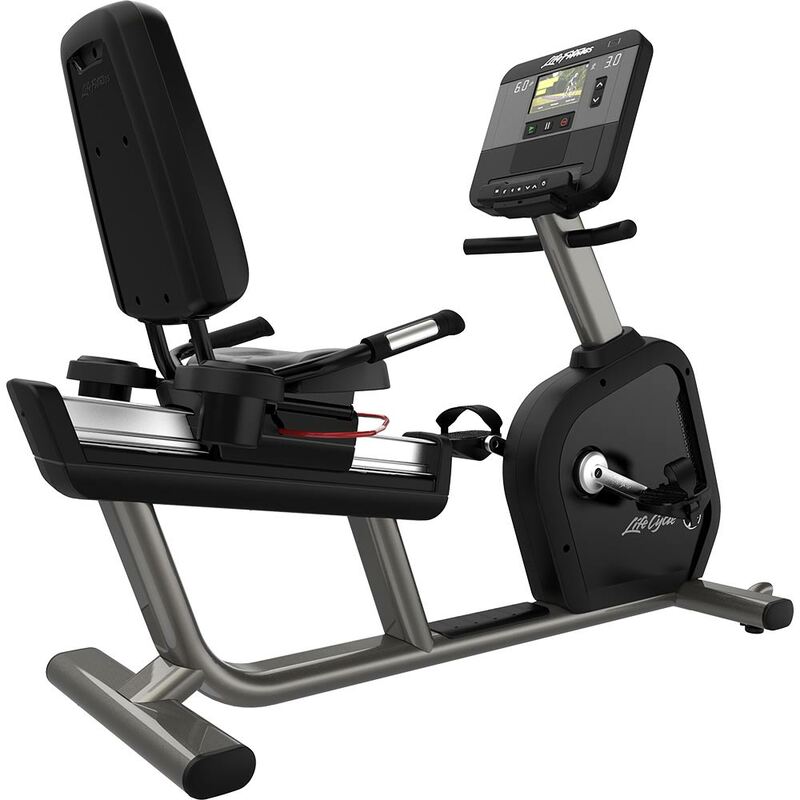 The Club Series+ Recumbent Lifecycle is the home version of our durable and reliable commercial cardio series, offering features that enable maximum comfort as you exercise, like self-leveling Wide Ride™ pedals and the deluxe Comfort Curve Plus™ seat for back and lumbar support. The deluxe, Comfort Curve Plus™ Seat includes back rest and lumbar support, as well as a wrap-around adjustment lever that makes it easy to find the most comfortable seat position. Step-through design and front assist handle allow for easy entry and exit. Self-leveling, Wide Ride™ pedals with simple buckle straps allow exercisers to get started quickly. Integrated resistance controls on side handles makes in-workout adjustments easy. The generator drive system with 8-ribbed poly-V belt resistance provides a smooth and quiet ride, and requires little to no maintenance. The intuitive touchscreen console creates a connected experience. Your last workout is automatically saved, so you can replay it and strive to improve your performance. Challenge yourself with our auto-refreshed trending workouts. And, track your progress over time and push workout data to your favorite apps through Bluetooth® and NFC connection.